and you become what you BELIEVE you want to become. Faith, Belief and Devotion are intrinsically connected with each other and are fully dependent on the basic nature called Svabhaava of a person. Sraddhaa or devotion, comes from Svabhaava – the character potential one brings from the past life. Everyone is born with their own Svabhaava which is unique to them. This basic Svabhaava can be noticed even when among toddlers. 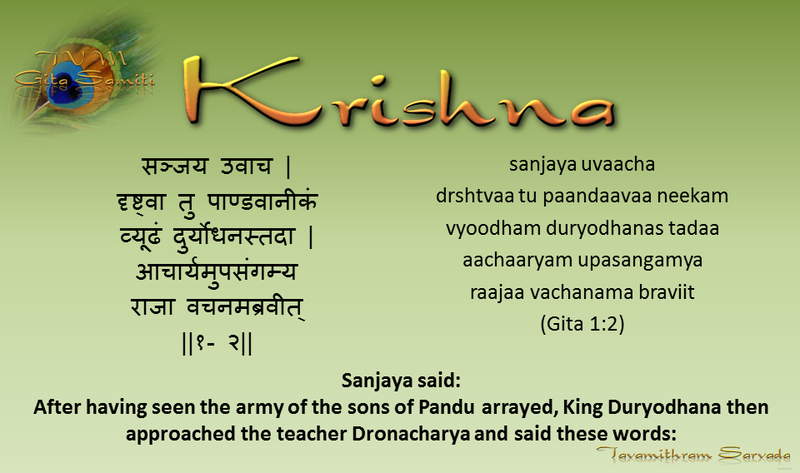 Svabhaava depends on what one brings along from the past Janma as said in the verse 15:08. The Svabhaava carried forward from the past Janma forms a person’s basic personalilty in the new Janma. This character continues to develop further until the person is influenced by new input in the form of experience and learning. This new input causes changes in the way a person thinks and it results in changes in the entire personality of that person. Faith and Shraddhaa (Devotion), are qualities that can be found only in humans and these qualities are based on an inner calling that comes from purity of character which again has been carried forward from the past Janma. However Shraddhaa is also acquired due to experience or spiritual education. Sage Valmiki was a bandit who after undergoing realisation, went on to author the Valmiki Ramayana. Even in present times, there are cases of butchers and hunters who turned vegan and have also taken to vegan activism. What they did was to change their basic ‘Svabhaava’. This ability to change one’s Svabhaava is the thing that allows the possibility of altering one’s destiny and progressing in their Karmic evolution. Anyone can undergo realisation anytime in life and for this, all one needs to do is to be open to knowledge which would give them the required preparedness for spiritual upliftment. Most organised religions dread this amazing ability of humans and therefore ban their followers strictly from reading sacred books of other faiths and attending sermons or Satsangs given by preachers of those faiths. Luckily the Sanatana Dharama neither imposes commandments nor forbidances. Instead, Bhagavan Krishna instructs Arjuna to ask questions until he is satisfied with the explanations he receives – (SBG Verse 4:34). 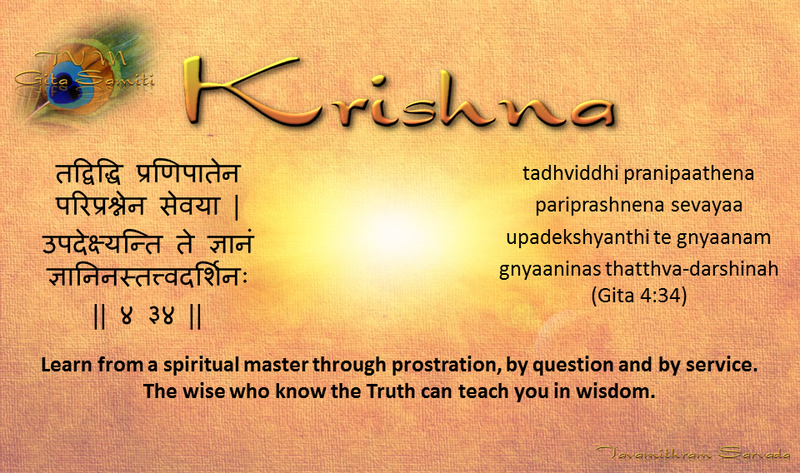 In other words, Bhagavan Krishna asks Arjuna to use his mind and his power of reason to analyse and learn the Truth. Faith and reason are rare gifts which only humans possess. Animals are predominantly Tamasic in nature and have no Sattva in them at all. 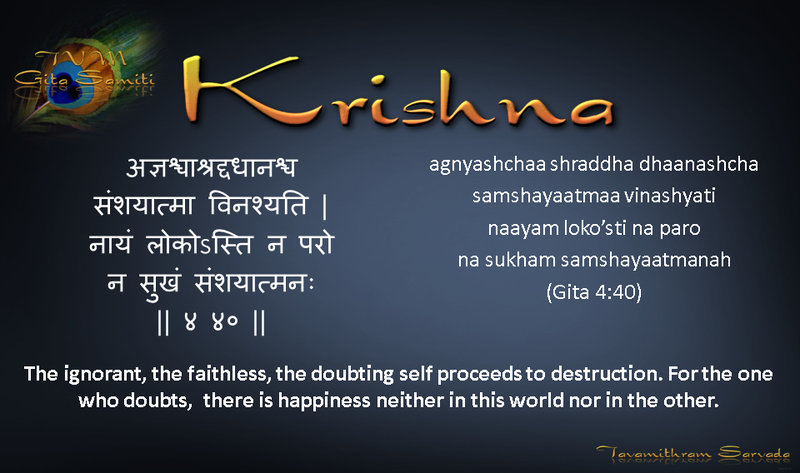 Faith in a spiritual principle comes from the Sattva Guna. Basically, every human has a Sattvika element in them which is a prerequisite for developing and possessing the quality of Shraddhaa or devotion. However, the intensity of this element may vary from person to person depending upon their own stage of Karmic evolution. Spiritual responsibility encourages people to be kind, compassionate and considerate to other beings. Faith is extremely powerful and makes people be whatever they believe they are. The world exists only through the mind. People perceive the world through their mind and they can do that only when they are conscious and awake. Wise people know that thoughts are exceptionally potent and due to this reason, they would never entertain negative or unpleasant thoughts in their mind, lest they turn real. In the process of building faith and achieving spiritual growth, it is necassary to introspect through meditation and test one’s own mental strength. However, doubting should be fully avoided because it is a waste of time and has a crippling effect on a person’s capabilities. Faith is formidably powerful and knowing this makes a person absolutely positive and fearless. 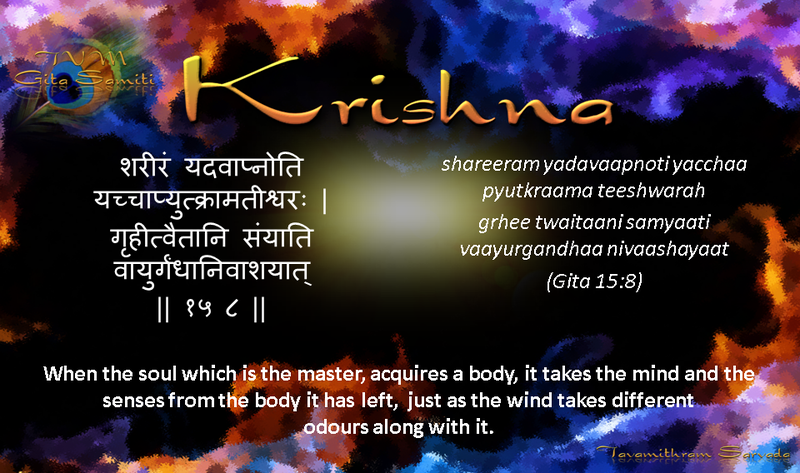 Study the Gita and harness the power of your mind. Define, Dream, Visualise, Believe and Work. Convince your mind of your dream and the rest will follow.